A hammerhead (also called a hamerkop) is a wading bird with strong, medium-long legs and large eyes. "Hammerhead" might seem like a good name for a woodpecker, but this bird's name comes from the shape of its head and not from its actions. On one end of its head is a big backward-pointing crest, and on the other end is a heavy bill. Between the crest and the bill, the bird's neck joins its head like the handle of a hammer. Chocolate-brown feathers cover the hammerhead's body, with paler feathers on its chin and throat. 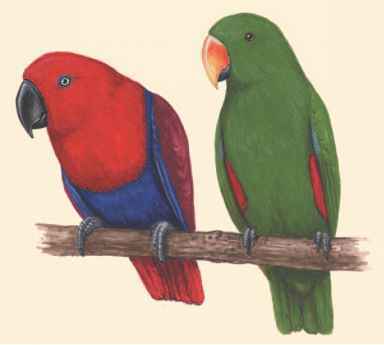 The female is similar to the male, but slightly larger. The birds are between 20 and 24 inches (50 and 60 centimeters) long from beak to tail, and they have short tail feathers. Their wingspan is 11.6 to 12.4 inches (29.5 to 31.6 centimeters), and they weigh between 14.6 to 15.2 ounces (415 to 430 grams), a little less than a pound. The largest hammerheads are 22 inches (56 centimeters) tall. Hammerheads live south of the Sahara Desert in the southern two-thirds of Africa. They are also found on the island of Madagascar and in the southwestern part of the Arabian Peninsula. Some of the birds spread out when dry areas become flooded during the rainy season, but they do not migrate in spring and fall. They are common and familiar birds in the places where they live.